As previously discussed, we’ll be releasing a new video every month! March’s video kicks off our Developer Diaries series, which will let you get to know our team here at Intrepid Studios and go over the development of the game, covering a variety of systems - Nodes, Housing, Level Design, World Design, Concept Art, Modeling, Animation, and much more! Our first episode is all about our technology behind Nodes. 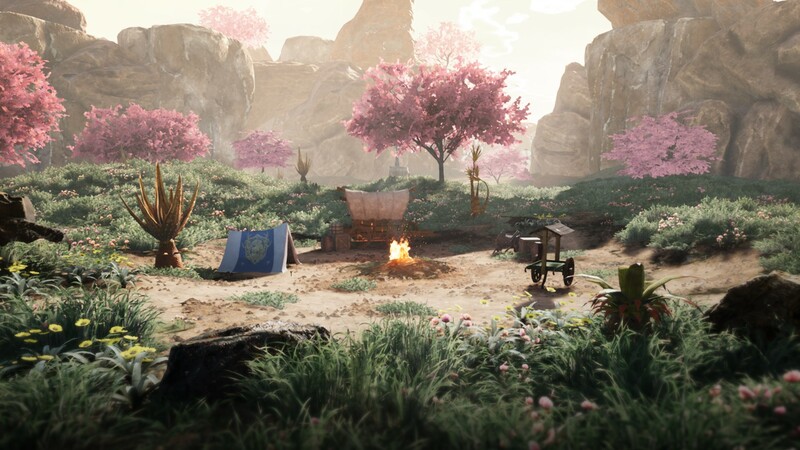 In this video, Tad Ehrlich (one of our Senior Environment Artists) and Steven Sharif (our CEO and Creative Director) go over why the tool was created, and how it will affect the player as they explore the world of Ashes of Creation. The next episode of our Developer Diaries will cover the Housing Tool, so be sure to follow us on Twitter and Facebook in order to get the most up-to-date information on Ashes of Creation!